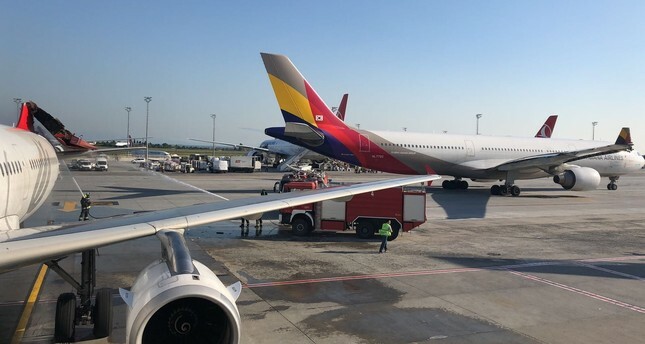 An Asiana plane collided Sunday with a Turkish Airlines jet during taxi on the runway of the Istanbul International Atatürk Airport. The Asiana A330 crashed into the Turkish Airlines A321's tail while parking and caused extensive damage on the vertical stabilizer of the Turkish plane. Fire crews rushed to the scene and started a cooling process in case of an eruption of fire. No injuries have been reported.